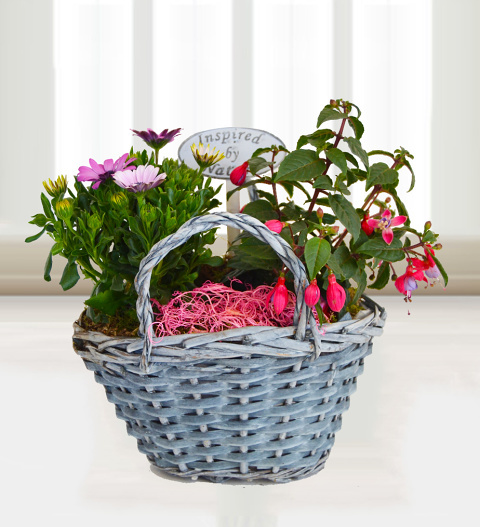 Inspired by the abundant beauty that nature has to offer, these Chrysanthemums and blossoms are brilliantly balanced inside a gorgeous basket for an almost vintage feel. Simple yet stunning, your eye will always find something new to admire when you gaze upon these luscious beauties! Available for UK next day delivery, keep this one in mind the next time you need a gift that will impress any lucky recipient! Chocolates may contain nuts.